Album Preview: Raekwon's "Shaolin vs. Wu-Tang"
Wu fans can’t dispute that the buildup to the Wu-Tang Clan’s last album, 8 Diagrams, was a debacle. 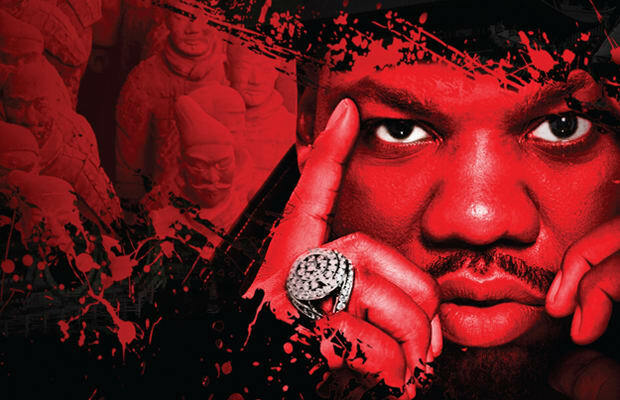 Rumors of in-house fighting over money and the creative direction of the group came to the forefront when Raekwon sat down with Miss Info for an infamous interview where he expressed his true feelings about RZA’s leadership and announced a separate Wu-Tang album altogether, Shaolin vs Wu-Tang. Although RZA and Rae have squashed their beef since (the entire Wu-Tang Clan just finished a tour) and Rae reinvigorated his career in 2009 after releasing Only Built 4 Cuban Linx 2, the concept of Shaolin vs Wu-Tang remained. What started out as a group project morphed into a Raekwon solo project which may not feature any guest spots or production from RZA, but still has the undeniable mark of Wu-Tang. We know this because we recently had the pleasure to sit down and listen to the album. The latest tracklist on the blogs reveal that the order of the songs has been rearranged and songs may be altered, but we’re pretty sure what we heard was close to what the final product will be. So sharpen your swords (pause) and allow us to demonstrate the skill of Shaolin vs Wu-Tang.